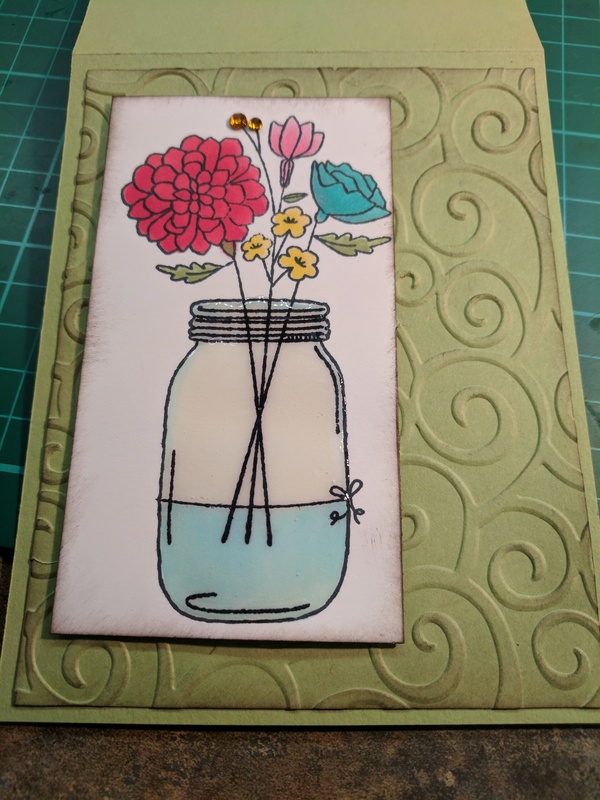 So today I’m making a card using Candlelight Garden by Close to my heart. 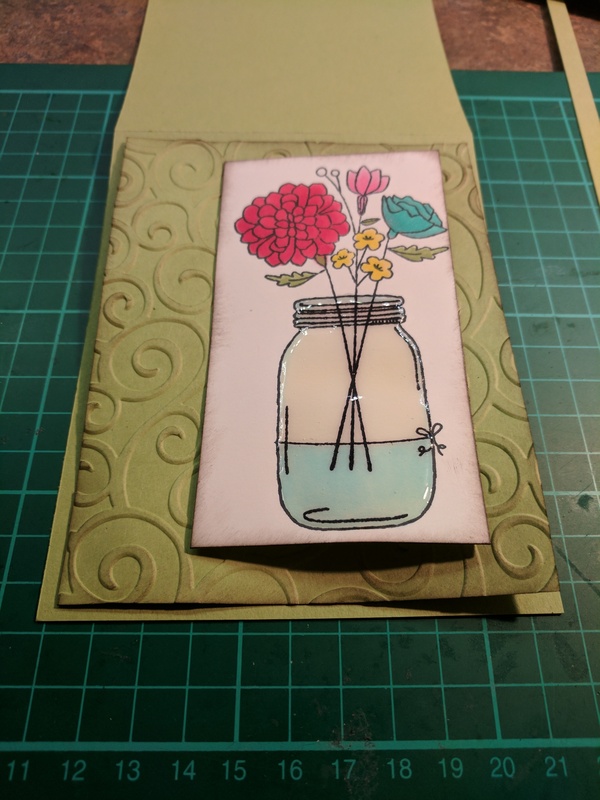 It’s such a pretty set with a mason jar, flowers and candles along with some pretty nice sentiments. 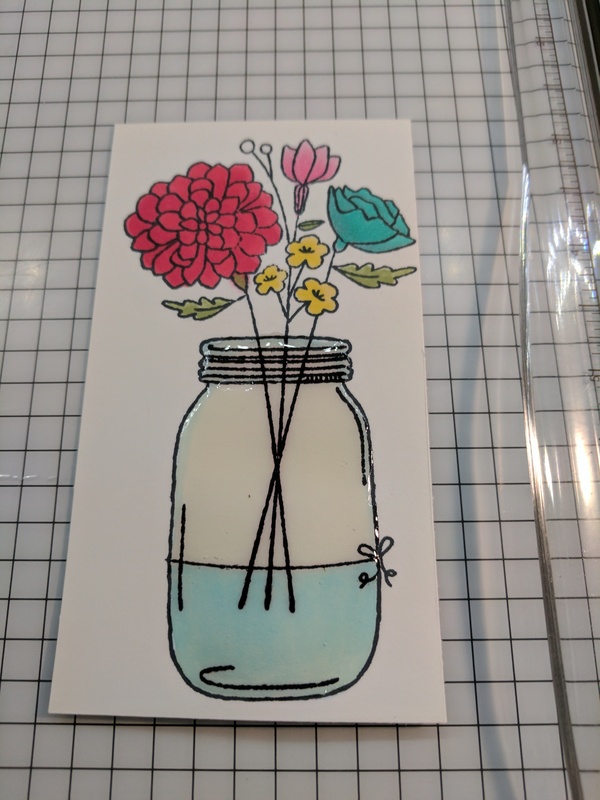 I’m going to combine with a Mother’s day stamp because I’m getting ready for a local craft show and it’s that time of year. 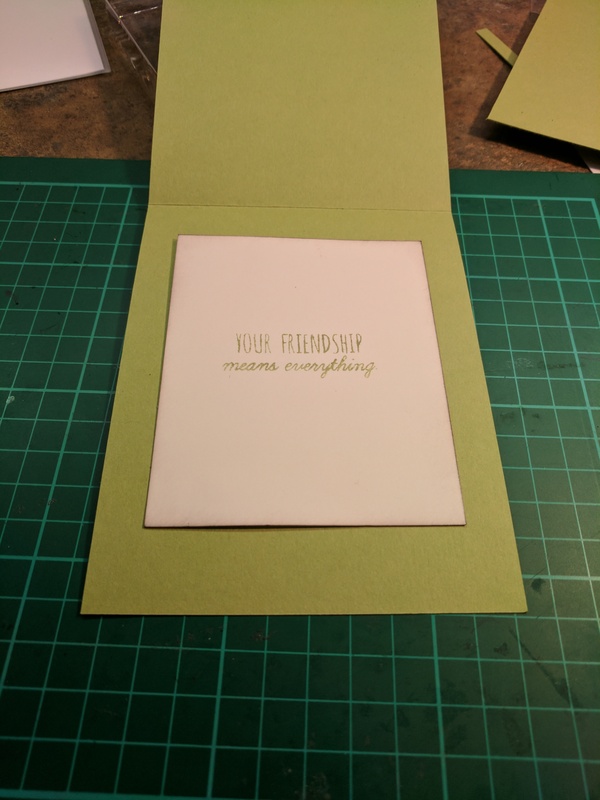 The paper im using is Stamping up Pear Pizzazz cut 11 x 4.25 with a top fold and Whisper white cut 5.25 x 4. 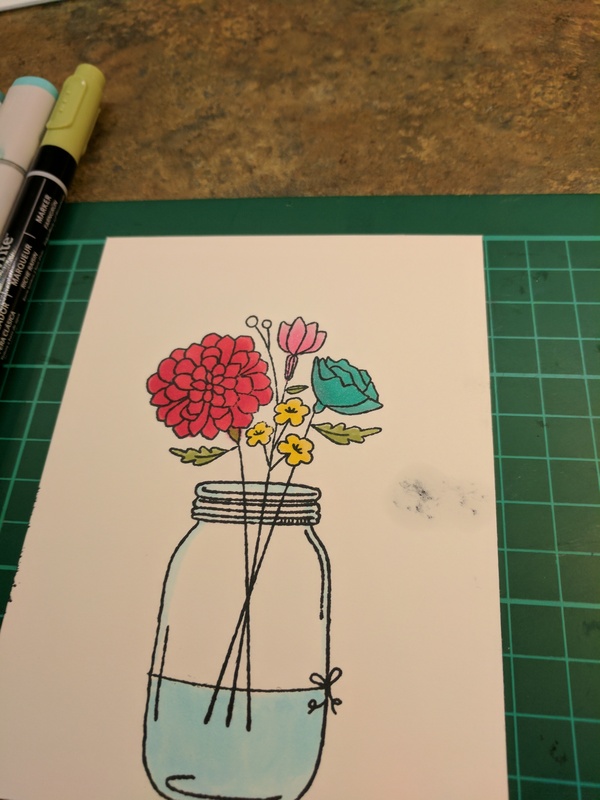 I used my homemade stamp tool and used Memento Tuxedo black ink. 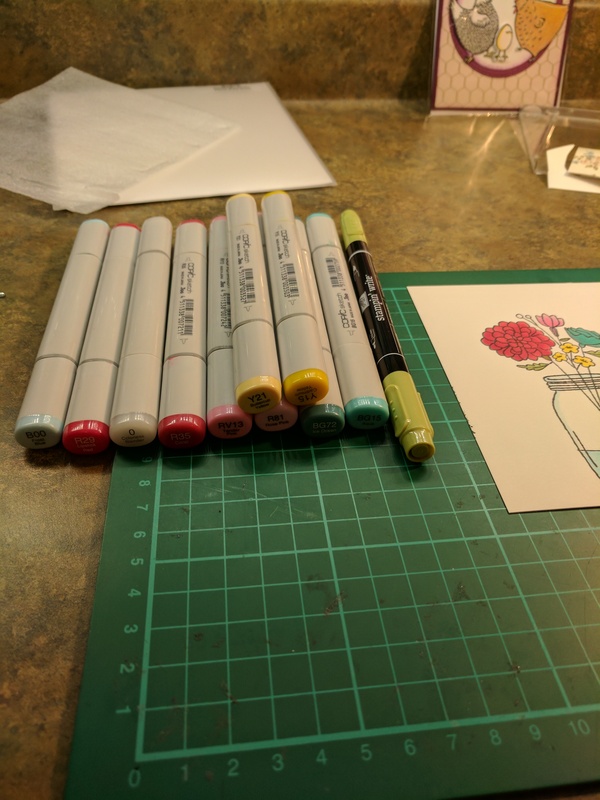 My stamps are so discolored from using other inks but they still work well. 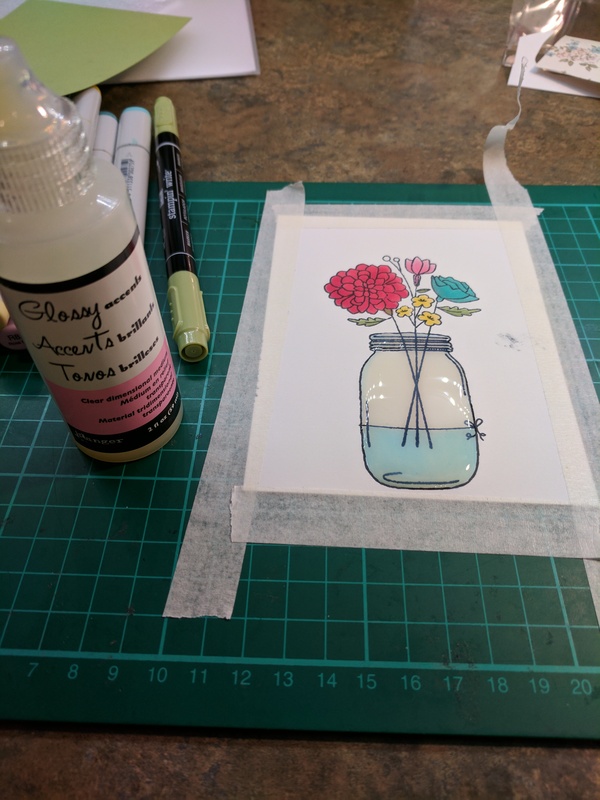 And Stampin up marker in Pear Pizzazz for the leaves. 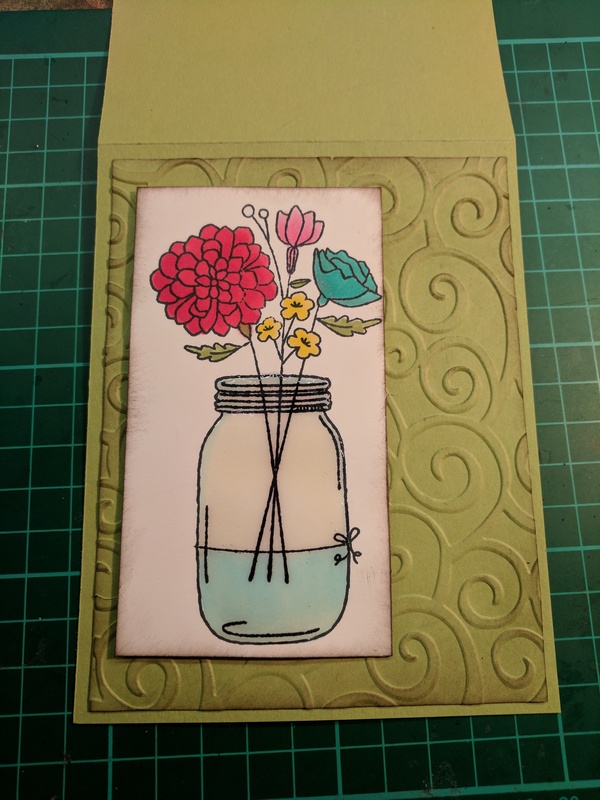 I highlighted with a white gel pen and used Glossy accents to fill in the jar. 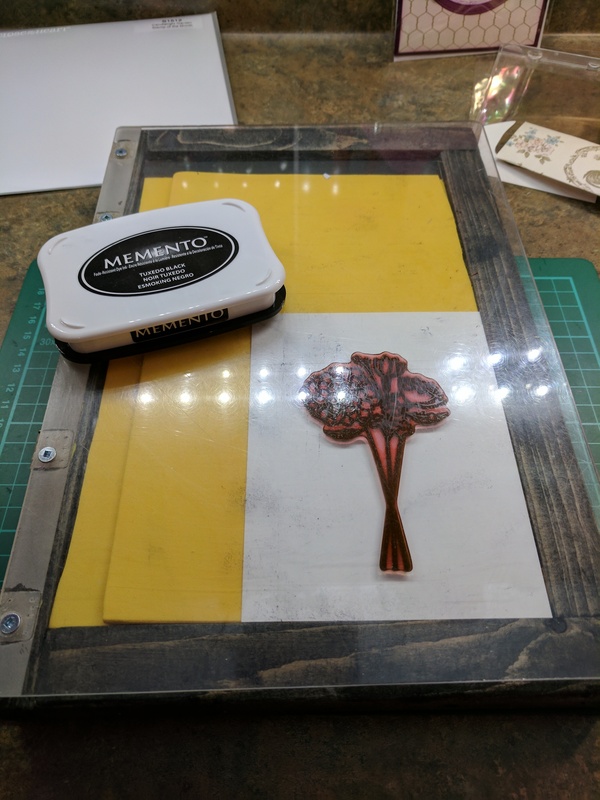 I taped the project to my craft mat to prevent curling. So I made two mistakes the first was having ink on my finger and making a smudge. 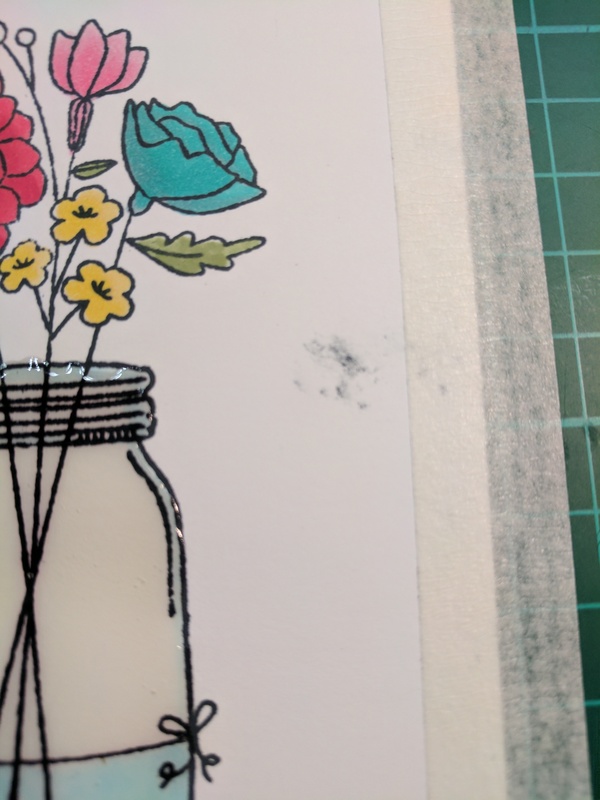 The second was using the wrong tape 😕 it tore the paper. No worries! This is where creativity grows! So I decided to trim it down and add an embosed background and it came together nicely. 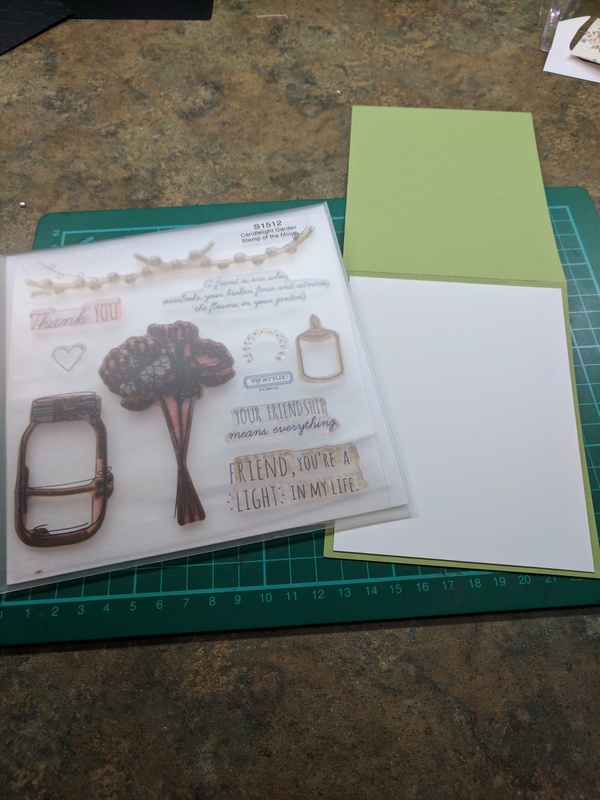 Inside the card I stamped a sentiment to match. Thank you so much for reading! Have a great day!